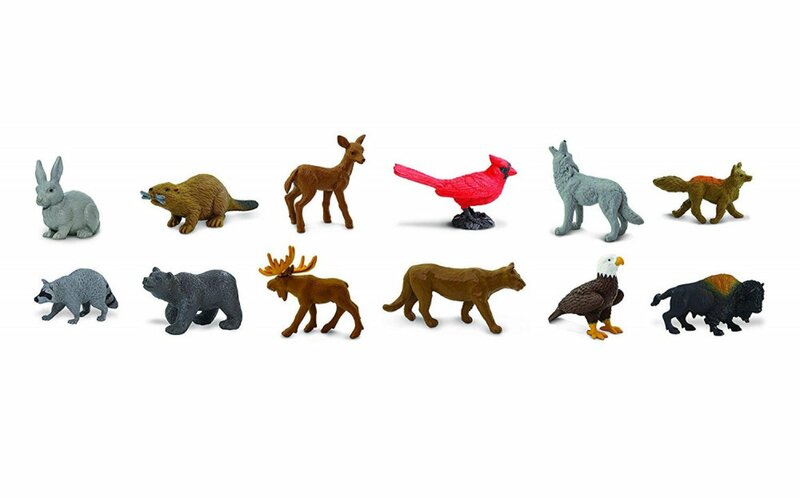 This twelve piece mini animal set will come in handy for the traveling therapist or for new sandplay therapists adding on to their collection. 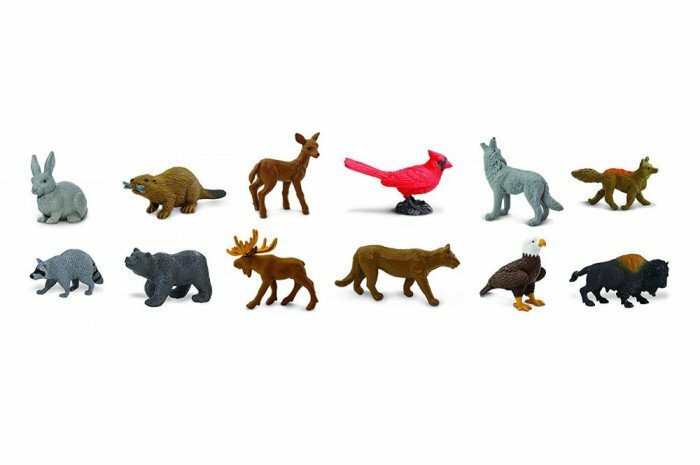 Includes a rabbit, beaver, doe, cardinal, gray wolf, fox, raccoon, black bear, moose, mountain lion, bald eagle, and a bison. 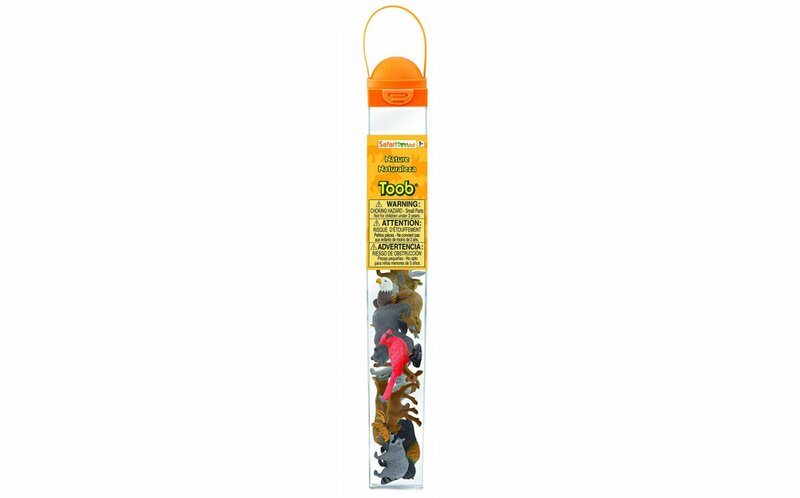 Figures range from 1.25 to 3.75 inches tall.